We have been in the business for over 17 years and with the knowledge and expertise of our staff, plus the many awards we have won you can be confident we can look after your corporate travel. We like to work with you, understand your business so we can deliver the outcome you need. We have the relationships with the suppliers, which gives you the better deals, value adds and the benefits of booking with a company respected and recognised within the travel industry. 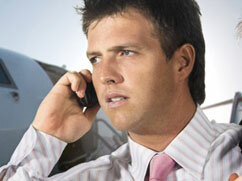 Spencer Travel respects the nuances of business travel, and those who travel for business. Our business travel agency also respects your budget. Whether you are a corporate traveller, control the budgets or make the bookings – We’re there for you. Find out how we go above and beyond to meet your travel needs.